1Thoroughly wash and dry cilantro, parsley, dill, and Serrano pepper. 2Add wet ingredients (Greek yogurt, avocado oil, water, lemon juice) to your blender and blend until smooth. 3Add cilantro, parsley, dill, and Serrano pepper to blender and blend until smooth. 4Add in the dry ingredients (salt, black pepper, and garlic powder) to the dressing and blend until mixed. Taste to determine if it needs more seasoning. 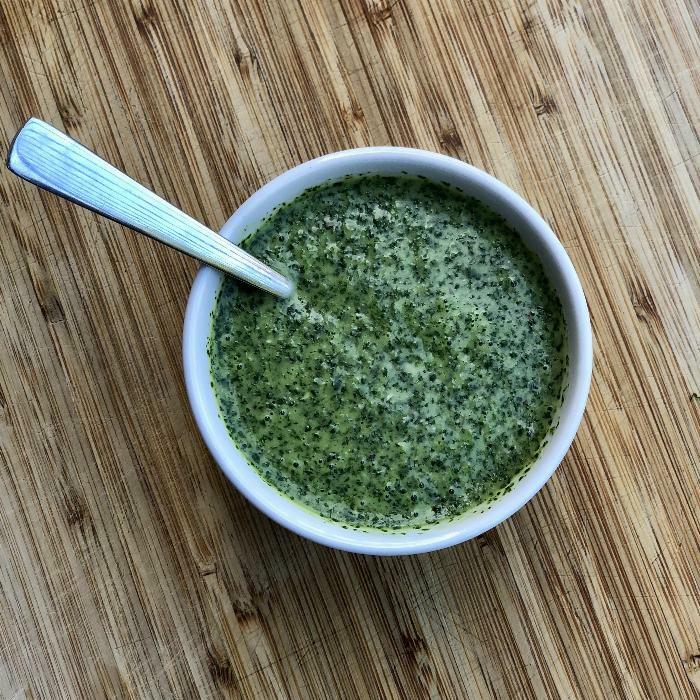 5Pour Green Goddess Dressing into a glass jar and enjoy for up to a week!